The GHST PRJKT team are breaking out with Colourz Hybrid OVO Elements! 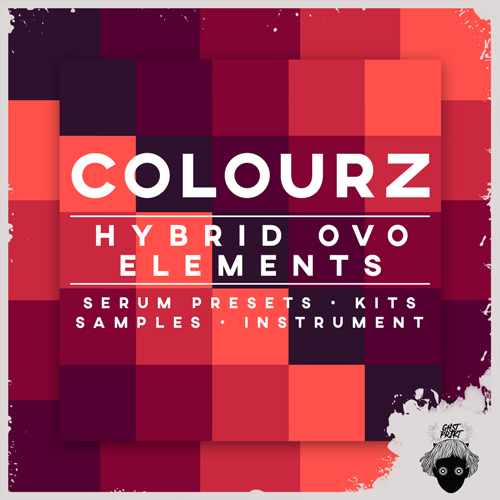 Colourz Hybrid OVO Elements is the hybrid off-spring of sounds in the vein of Drake’s OVO label with heavy driven 808 beats infused with synthetic Future Bass and Trap elements. Colourz Hybrid OVO Elements features 32 custom 808 subs within its Serum presets, plus another 32 presets for chords, keys, plucks and basses. All 64 Serum presets have custom macros for shaping and automation. COLOURZ also includes 5 Construction Kits, Drum & Synth One-Shots along with bonus Sampler Instruments for Maschine 2, and Kontakt 5. Each kit also comes with MIDI files to allow maximum flexibility in editing chord structures, changing key and assigning your own synth of choice. All kits have been properly key labeled with BPM information. If you find inspiration from artists such as Drake, Majid Jordan, Party Next Door and Roy Woods but want a little future bass flare, COLOURZ is the choice for sample library arsenal.